Swim! Squeeze! Squirt! Float! Splash! 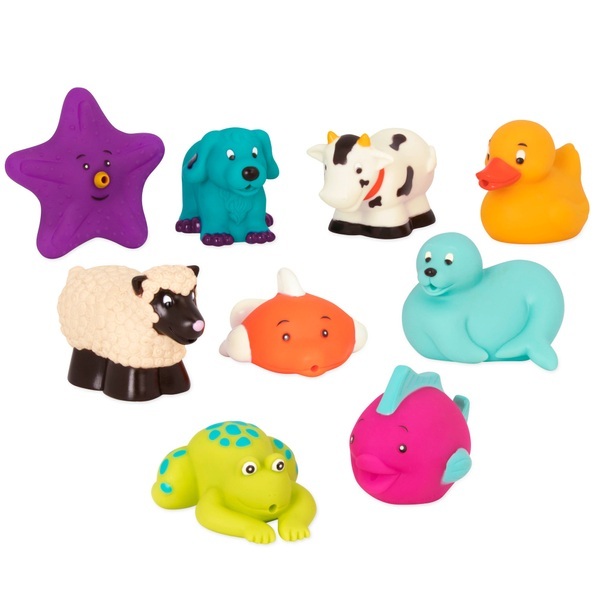 Bathtime is great fun with the lovable animals in the Bath Buddies Assortment from Battat. The coloured set includes a variety of ocean/farm animals for imaginative bathtime play. A reusable storage case is included for easy transport and convenient storage. Safe and high quality materials are used to ensure that the product is designed to last and these bath toys float on the surface of the water making them easy to find and grab. EU Warning: Never leave your child unattended in water. Only to be used in water where the depth is appropriate for the child. Please empty toy of all water after each use.